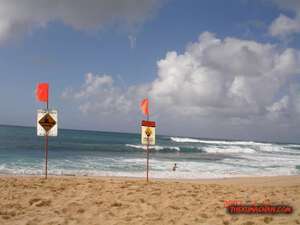 Today I drove up to sunset beach past Waimea beach park. I heard there was pretty good waves, so I decided to go check it out. As you can see from the signs that there was some strong current. Here are the photos I took.